Schematic presentation of suggested MSC potentials throughout different human niches. 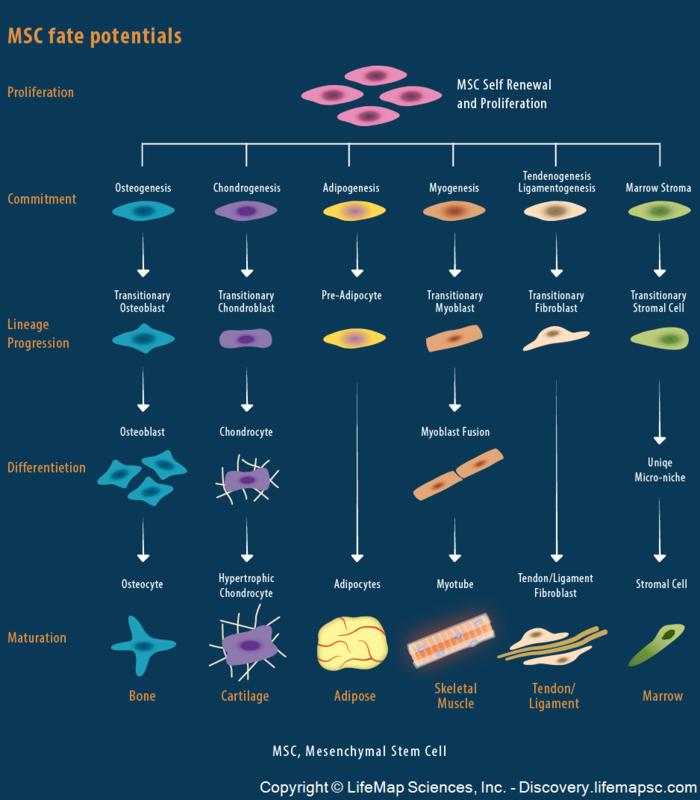 As with other types of stem cells, MSCs are quiescent in nature and are capable of self-renewal, proliferation and commitment to the different lineages in response to specific inductive signals. Such signals (e.g., physiological, injury or disease) can to elicit differentiation of the progenitor cells to mature cells which eventually develop into bone, cartilage, adipose, skeletal muscle, tendon, ligaments and marrow tissues. Other putative potentials, which are not depicted in the image, exist in other niches.